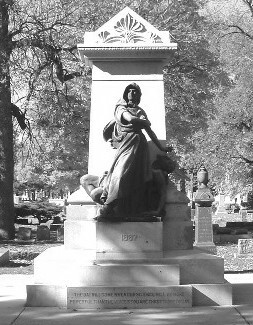 Forest Home Cemetery in neighboring Forest Park, Illinois, is a distinctive and remarkable resource for the history of Oak Park and River Forest. 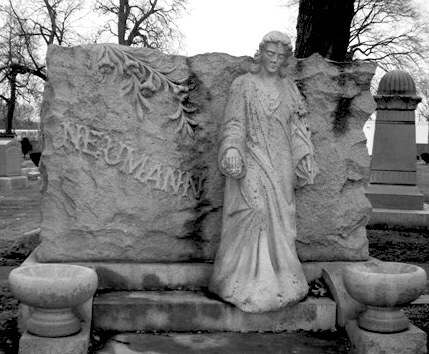 Because no cemeteries exist within the borders of Oak Park and River Forest, Forest Home Cemetery and German Waldheim Cemetery (which merged with Forest Home in 1968) became the final resting places of many residents of the two villages, as well as citizens from near western suburbs like Maywood and Riverside, and significant numbers of Chicagoans. 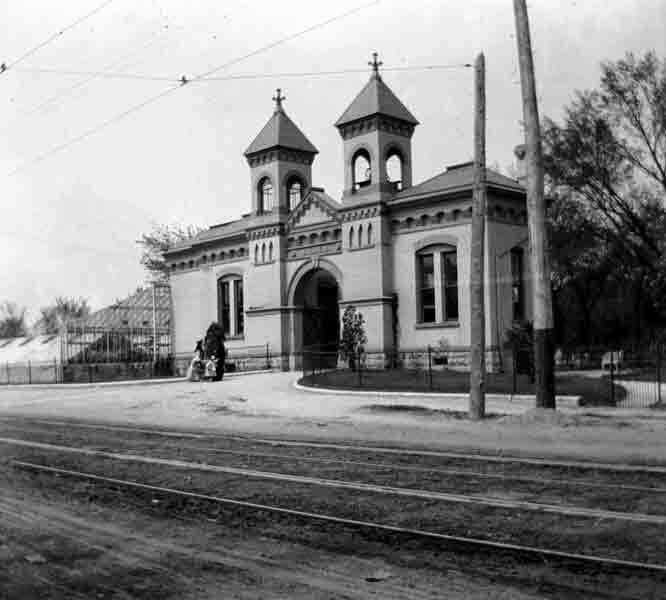 The Historical Society of Oak Park and River Forest has extensive material on Forest Home Cemetery and some of the individuals buried there. These include microfilm of the interment records (arranged chronologically). One of the Society’s signature events is the annual Forest Home Cemetery Walk, held each year on the third Sunday in October. Hundreds of attendees are entertained, educated, and often deeply moved by the costumed actors who portray and share the stories of individuals buried in the cemetery. Below is an excerpt from the Historical Society’s award-winning book, Nature’s Choicest Spot: A Guide to Forest Home and German Waldheim Cemeteries, pp. 1–6. 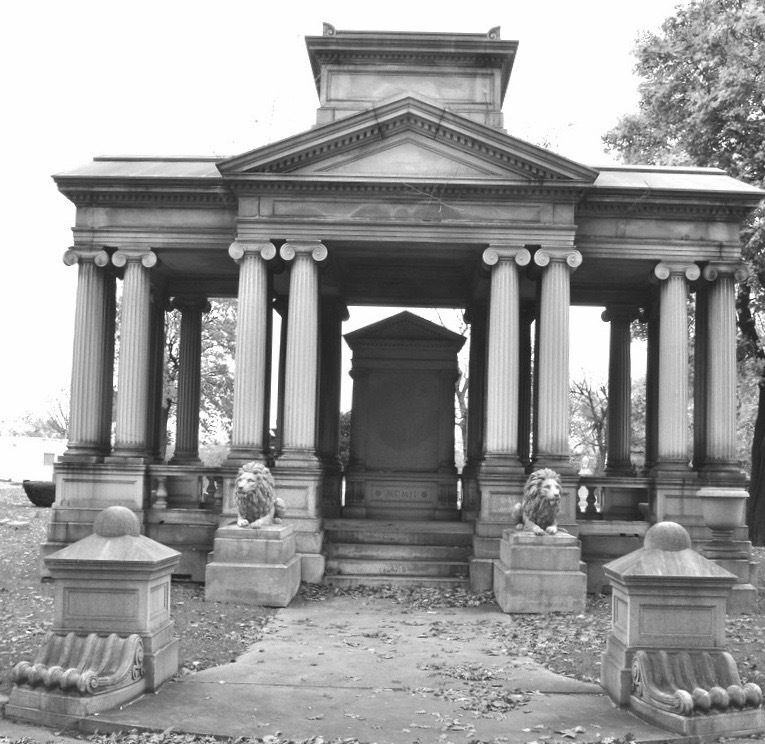 The book offers two self-guided tours, one on foot and one driving, leading to 45 different sites in the cemetery. Click here to order. As the final resting place for Native Americans, early settlers, evangelists, gypsies, labor activists, and noted leaders in medicine, the arts, business, and transportation, Forest Home Cemetery in Forest Park, Illinois, is one of Chicagoland’s most picturesque and historic cemeteries. The Des Plaines River cuts through the approximately 220-acre cemetery, and paved, curving roads divide it into landscaped subdivisions, where, as of 1998, over 188,000 people are interred. A search into the history of Forest Home Cemetery reveals a rich interweaving of customs and cultures, at once typical of other cemeteries and yet unique to Forest Home. A natural ridge formed through glacial movements ran through this area, a sandbar of prehistoric Lake Chicago, the precursor to Lake Michigan. Vestiges of this ridge are still visible in the cemetery, as well as in nearby Oak Park, at Scoville and Taylor Parks and along Ridgeland Avenue from Division Street to North Avenue. Centuries after Lake Chicago receded, bands of the Potawatomi Nation camped and buried their dead in mounds along the Des Plaines River; one undisturbed burial mound remains today (Stop I on the Overview Driving Tour). The federal government first offered land in northern Illinois for public sale in the 1830s, after the Potawatomi were forcibly removed to west of the Mississippi River under the terms of the 1833 Treaty of Chicago, which ended the Black Hawk War. A French-Indian trapper, Leon Bourassa, purchased acreage in what is now Forest Home Cemetery. According to local legend, Bourassa and his Potawatomi wife, Margaret, claimed this land in part because she wished to remain near the graves of her ancestors. Later accounts also show that Indians occasionally returned to visit the burial mounds well into the Civil War era. 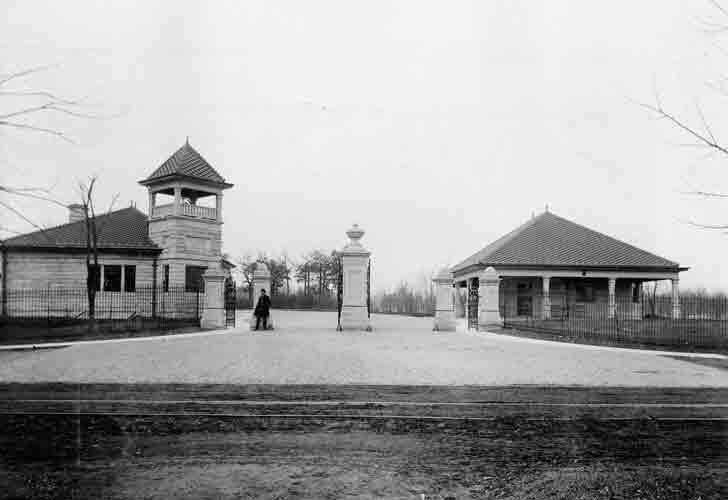 Soon after arriving from Prussia, Fedinand Haase, an early settler of what is now Forest Park, purchased some of the land formerly owned by Bourassa. Haase built a manor home and began to raise cattle and crops. His only close neighbors were his in-laws, the Zimmermans. Carl Zimmerman, his brother-in-law, died in 1854 and was buried on the property; he was the first non-Indian buried on the land that became Forest Home Cemetery. To make it easier for people to reach his picnic grounds, Haase struck a deal with the Galena & Chicago Union Railroad (later the Chicago and North Western). In exchange for carloads of gravel needed for construction, the railroad built a spur line from the main tracks to Haase’s Park. Through the years, such gravel removal destroyed most of the original glacial ridge, leveled much of the land, and uncovered several Native American burial mounds. 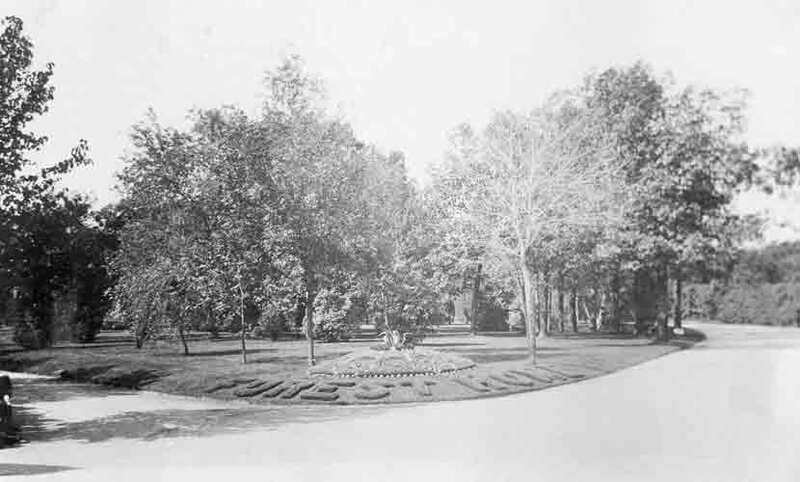 The "memorial park" trend, epitomized by Forest Lawn Memorial Park in Glendale, California, had a significant impact on cemeteries nationwide. This look emphasized the lawn and the use of flat markers rather than monuments; inspirational sculpture gave identity to sections. These design characteristics can be seen west of the river, along the north and west boundaries of the cemetery, in sections which were opened after 1924. Automobiles also had a significant impact, both directly as a popular means of transportation for funeral parties, and indirectly with the growth of highway systems. When the Eisenhower Expressway (I-290) was built in the 1950s, it cut through the northernmost part of Forest Home, resulting in the movement of several hundred graves.